Epic Games has unveiled its latest creation due to join Paragon‘s existing cast of playable characters next week. Morigesh is a vengeful close range caster who, Epic says, is the personification of a drowned forest and has traveled to the world of Agora in pursuit of existing hero The Fey. Given the latter’s apparent love of nature, it doesn’t take a genius to discern why exactly Morigesh carries a grudge against an individual who is essentially her polar opposite in terms of ideals. In regards to her playstyle, Epic has combined two combat archetypes that are rarely seen together with Morigesh. While the character is dubbed a ranged caster, how far her abilities stretch across the battlefield doesn’t quite compare to the likes of, say, Murdock or Lt. Belica, but what she lacks in range she more than makes up for with raw damage. In order to get the most out of Morigesh’s repertoire of abilities, you’ll want to prioritize card upgrades that focus on providing additional damage and mana. See below for a full rundown of her abilities, courtesy of Epic. As always, all Heroes in Paragon are free, so jump in as Morigesh on Tuesday, April 4. If you can’t wait to get your Paragon fix, you don’t have to – Paragon is in Free Open Beta, so you can download and play today. Paragon is currently in open beta for PlayStation 4 and PC and is entirely free-to-play, with optional cosmetic items available to buy with real cash. 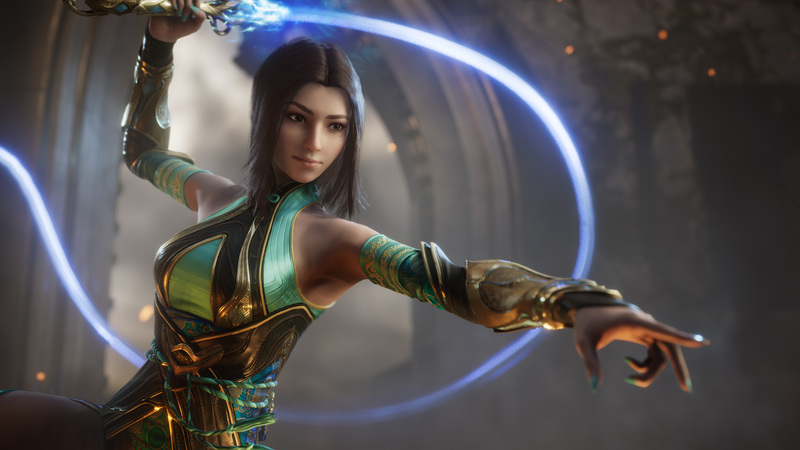 While Epic has yet to attach an official release date to the MOBA, it continues to provide sizeable content updates on a regular basis, including new heroes every three weeks as well as patches based on fan feedback, one such being the Monolith update, which brought with it drastic changes to various gameplay elements. Check out the gallery below for a look at some of the other heroes released previously.